The Winter Solstice, which takes place on 21st December in the Northern Hemisphere, is celebrated in various forms all over the world. In astronomical terms, this is the shortest day of the year, when the sun is at its lowest in the sky. After the solstice, the days begin to get longer again, and it is for this reason that it was celebrated as the beginning of a new year by pagan cultures. 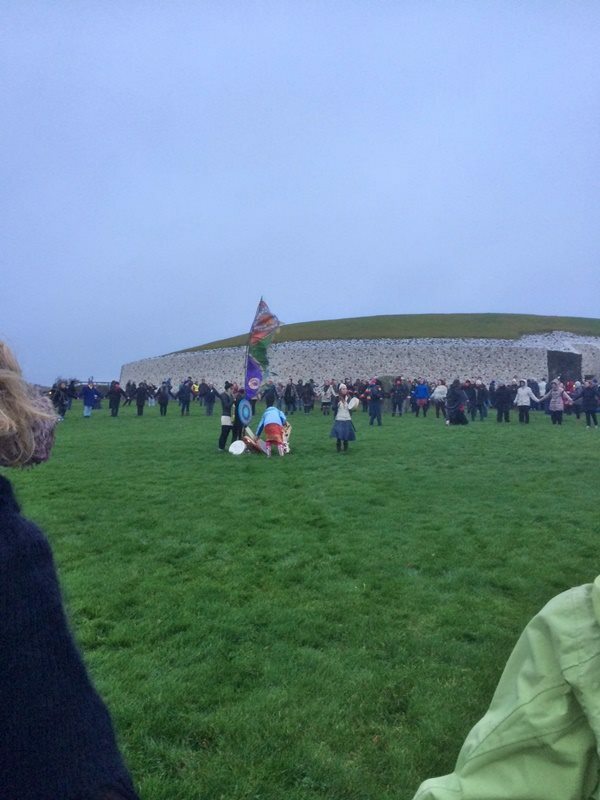 I celebrated the winter solstice at Newgrange, a Neolithic passage tomb in Co. Meath, Ireland. This monument is an astounding feat of engineering: dating from around 3,200 B.C. (that’s older than the Pyramids!) it is aligned exactly with the rising of the midwinter sun. Above the entrance to the tomb there is an opening called the roof-box. On 21st December, the light of the rising sun passes through the roof-box and travels up the narrow passage, illuminating the inner chamber. Entry to the chamber on the morning of the solstice is decided by a lottery. Alas, I was not one of the lucky few chosen. Indeed, further misfortune was in store as, after having dragged myself out of bed at 6am and trekked across narrow country lanes, the weather was cloudy and the sun barely visible. But the unlikelihood of a clear sunrise (this is Ireland, after all) did not deter the hundreds of people who turned out to welcome the new year. We were an eclectic bunch, ranging from the mildly curious to the deeply spiritual. Dedicated believers, dressed in long cloaks with wreaths of leaves and twigs on their heads, led the welcoming of the sun. They banged drums and chanted, softly at first, the volume rising in a crescendo as the sky got gradually lighter. It would be difficult to find someone less spiritual than myself, and I’ll admit to finding most of the celebrations frankly a bit odd. Yet there was something undeniably refreshing about standing in that field at dawn, waiting to mark the most natural sign of the new year. It was definitely more enjoyable than the repetitive and ultimately disappointing festivities of the 31st. 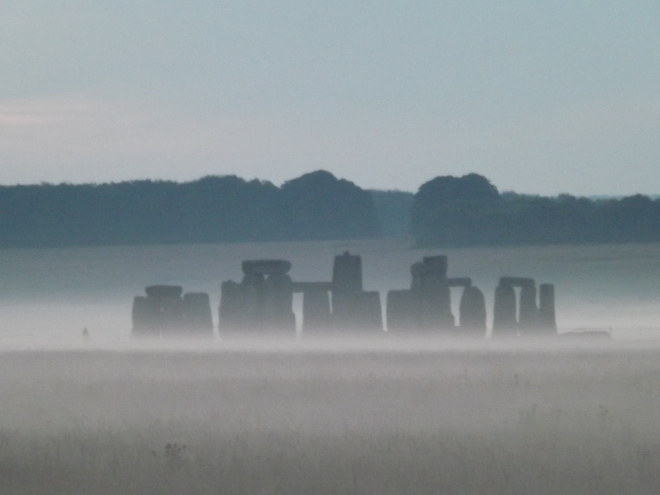 Similar celebrations take place at Stonehenge, Britain’s most famous prehistoric monument, which is also aligned with the rising and setting of the sun. Huge crowds gather there annually for exuberant solstice festivities. There is a lot of wisdom to be found in prehistoric pagan cultures. Not only have they given us some of the most awe-inspiring architectural accomplishments in the world, but they have also left us a legacy of spiritualism which has survived the advance of scientific understandings of the world. If you come to visit Newgrange or Stonehenge just for the views and the guided tours, you might end up leaving with a new and perhaps more optimistic perspective on the coming year. Even if the sun fails to make an appearance.